Quite often the constant pressure to refine ‘messages’ leads campaigners to get too clever for their own good. Sometimes, especially when in doubt, it’s best to say it straight, and simply to do the obvious. 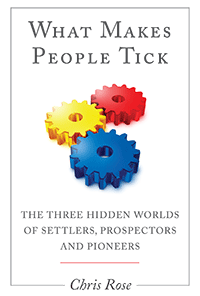 When the people trying to do the communication see their case as obvious and are doing it locally, they are much less likely to over-complicate things or try too hard to be ‘sophisticated’. Even more so when it’s direct, that is not via third party medium like the newspapers or even a social media channel. Here’s an example. 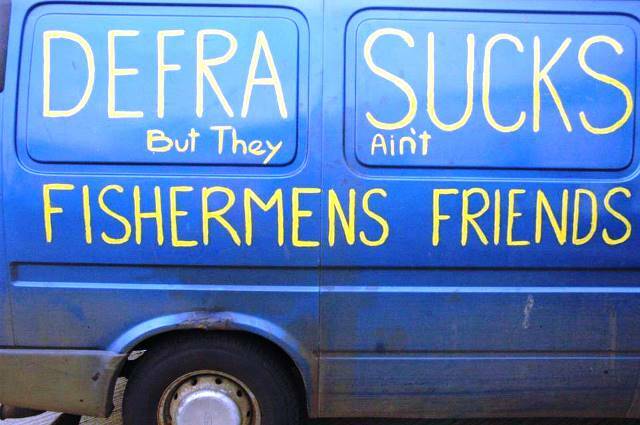 A few years ago a fisherman friend of mine used his van to send a message to the government about his displeasure with their policies. DEFRA is the English Government’s Department of Food, Environmenat and Rural Affairs. 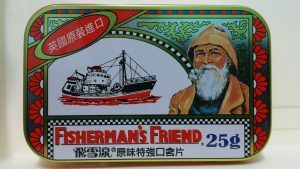 ‘Fishermen’s Friends’ are a famously fierce throat lozenge long promoted as something allegedly sucked on by deep sea fishermen. This iconic British brand has been sold worldwide. The tin below (image from Wikipedia) is a version from Taiwan. 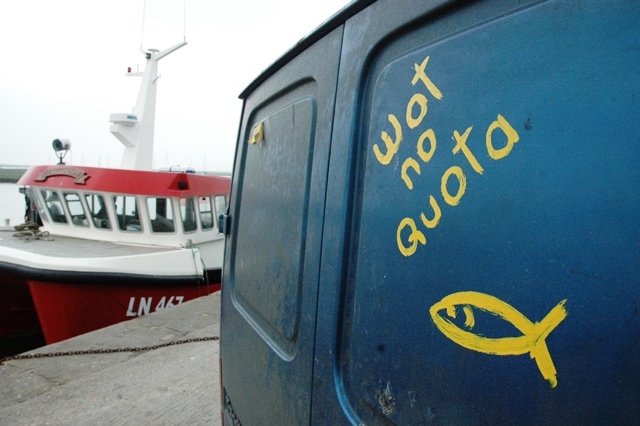 My friend’s van is often parked on Wells Quay which in summer is populated by many thousands of visitors. As a result it became quite well known, and gave some amusement to quite a few people in the fisheries policy community, which is usually a bit short of laughs to say the least. A wider lesson for campaigns is that the capacity to do direct communications is often a limiting factor. It’s worth asking yourself what assets and resources you have which might enable you to do this. Vans on the street are obviously just one example. And if you don’t have those, who might help your campaign, who does have them ? Retailers for example, who often have shops and car parks as well as vans. 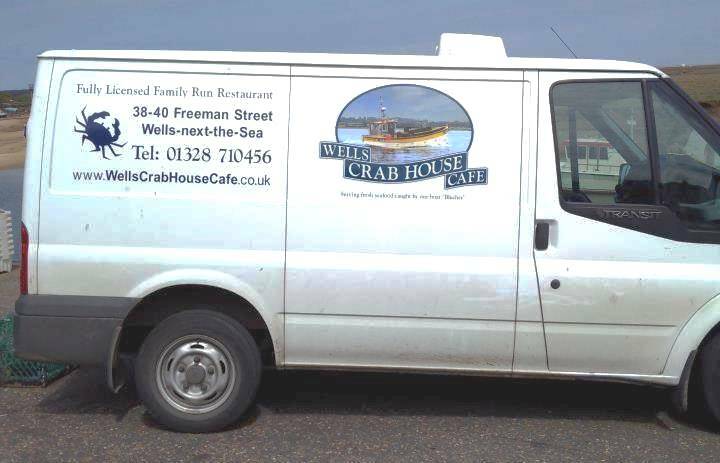 A couple of years further on, and being an entrepreneurial sort of person, he and his partner opened their own restaurant (Wells Crab House Cafe), and he got another van, this time sign-written to advertise the cafe and with a nice picture of his boat, The Blucher (with which he supplied the cafe with locally caught crabs). 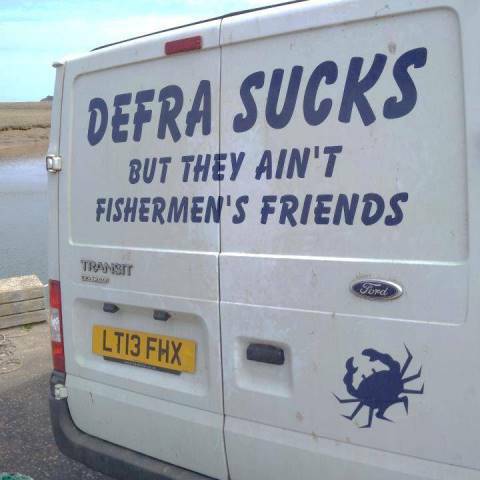 There’s no message about DEFRA on the side. But there is on the back. 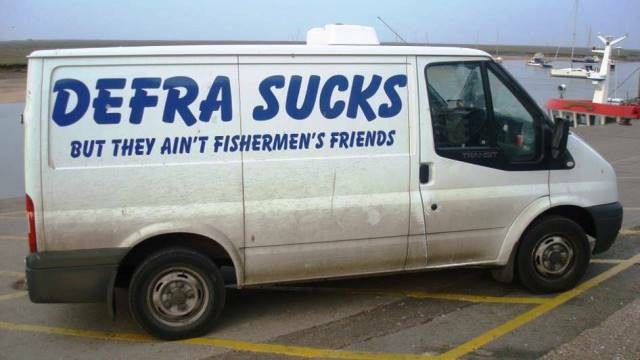 Hes’ now sold the business and gone back to sea. But I don’t imagine his campaign has ended.